The spoon-billed sandpiper conservation breeding programme is a collaboration between WWT, Birds Russia, Moscow Zoo and the RSPB working with colleagues from the BTO, BirdLife International, ArcCona and the Spoon-billed Sandpiper Task Force. There may be fewer than 100 pairs of the Critically Endangered spoon-billed sandpiper (Calidris pygmaea) in the wild. Without urgent action, the species is likely to go extinct. Spoon-billed Sandpipers are facing man-made threats such as illegal bird trapping, poisoning and the destruction of coastal wetland habitats all along their migration route. Trapping appears to be the key reason for the recent acceleration in the rate of decline. Young birds are more susceptible to trapping as they remain on their non-breeding grounds for their first two years. While good progress is being made to stop illegal bird trapping of the Spoon-billed Sandpipers, population modelling shows that the population will still be extremely small and highly vulnerable for over a decade. 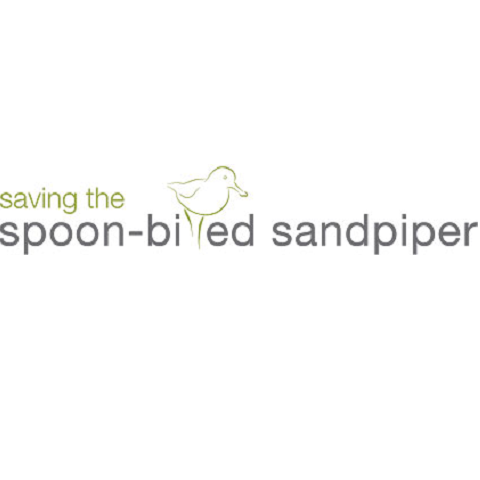 The spoon-billed sandpiper conservation breeding programme, therefore, acts as a safety net against the extinction of the spoon-billed sandpipers in the wild. The programme buys vital time needed to address the threats faced by the spoon-billed sandpiper and millions of other waterbirds. The conservation breeding programme helps to boost wild populations with captive-reared juvenile birds while the threats to the bird are being addressed. In the worst case where the wild population is lost, birds reared in captivity could be used to reintroduce the species to the wild. There is now a captive reserve flock established in specially-designed biosecure aviaries in Slimbridge, Gloucestershire. When the flock's size is large enough, some eggs could be transported to the breeding grounds to be hatched, reared and released, bolstering the wild populations. The programme also "head-starts" chicks by taking eggs from incubating birds into captivity and hand-raising the chicks to fledging age before release back into the wild. The head-starting programme increases the likelihood of the chicks' survival to adulthood by five times - from 15% to 85%. Other than helping to boost wild populations, head-starting gives the team the chance to attach leg-flags to track the birds, allowing conservation strategies to be assessed and adjusted. The head-starting process also gives the team critical experience of in-the-field methods that may be needed when returning eggs from the captive flock in Slimbridge.